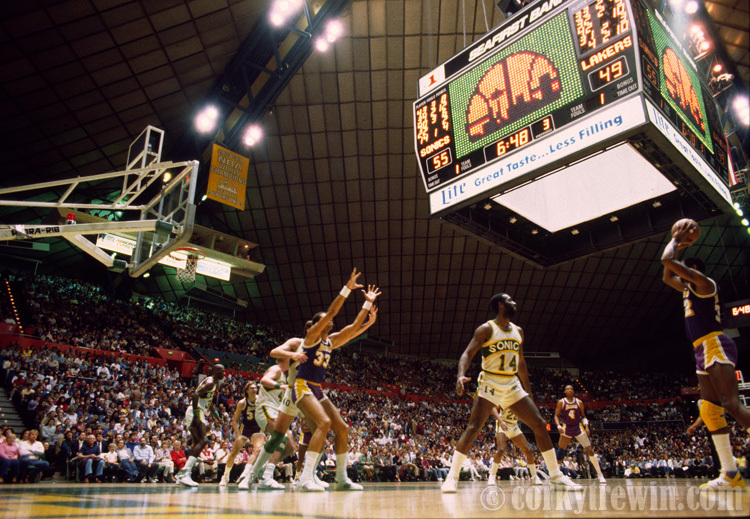 After a six-year run calling the King County Kingdome its home court, the Seattle Supersonics returned to the Seattle Center Coliseum for the 1985-86 season. They scored a 86-85 win over the Los Angeles Lakers on March 29, 1986. This entry was posted in NBA, Seattle Supersonics, Sports and tagged Seattle Center Coliseum.